For those of you following E3's PC Gaming show, you may have noticed a new game that shares some striking similarities to a popular Skyrim mod. TheModernStoryteller, a veteran of the modding scene has spread his wings and announced his own brand new game "The Forgotten City" which is a stand-alone re-imagining of his original Skyrim mod by the same name. Nick (TheModernStoryteller) has kindly taken the time out after his E3 debut to tell us a little bit about his new game and how he made it from modder to professional game developer. <br />Pickysaurus: First - for those who don't know you - tell us a little about yourself? <br />TheModernStoryTeller: I’m Nick Pearce, ex-modder, and Creative Director of Modern Storyteller – a game studio which carries the name of my old modding alias. I live in Melbourne, Australia with my wife and dog. <br />When I was about eight, I inherited a crusty old 8086 PC with a 4 colour monitor and about 64KB of RAM. Since I couldn’t play the new games that were coming out, I had to resort to teaching myself to program GW Basic and Q Basic. I made terrible, terrible games that nobody could or should ever play, but the thrill of imagining something and then seeing it on a screen ignited something in me. Then I left it on the backburner for 20 years while I went down the path of becoming a lawyer. <br />Could you tell us a bit about your favourite*games and what makes them so great? <br />I love open world narrative-driven RPGs, mainly because of the immersion factor, and the freedom to role-play. That’s what I’m trying to do with my own game: create a world that pulls people in for a really gripping, intense experience. <br /><br />Obviously, given your username, you value stories. Does this extend into written work? Do you have a background in writing or inspirations you'd like to mention? <br />My creative writing career began with me being punched in the face. Several years ago I was working as a lawyer and daydreaming about being a creative writer one day. I even signed up to a creative writing class, but when the time came to write my first short story, I came up short of ideas. I had to ask for an extension, but I was just buying time. Then I got punched in the face by a complete stranger for no reason, as I was walking to work one day. Inspiration had struck, and I wrote a short story about it – from his perspective, not mine – and it got terrific feedback. That got me rolling. I like to think it somehow removed an idea blockage in my head. I began writing a novel, and I got halfway through it before I realised my real passion was for games, rather than traditional forms of literature. Some of those ideas made their way into The Forgotten City, which is a much better vehicle for the story than a novel was. I really think games are the ultimate medium for storytelling, because of the element of interactivity. 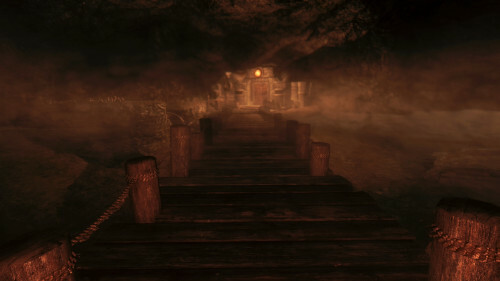 <br /><br />In terms of modding, your Skyrim mod “The Forgotten City” is one of the highest rated quest mods for Skyrim and Skyrim Special Edition. What inspired you to create that mod? <br />I played someguy2000’s mod, Bounties I, and it was a revelation to me that a mod could be as good as – if not better than – the underlying game. It was extraordinarily well done, and just what the game had been missing. I’ve always enjoyed creative writing, so I decided to have a go myself. I started by making a hallway, which evolved into a city. I remember thinking “This big empty city needs a little something…”... and 3 years later, after 1700 hours of work, it was an elaborate 35,000-word murder mystery set across multiple timelines with 1,200 lines of voice acting and an original orchestral score. <br />How would you say you made the leap from modding a game to creating your own, and even making it to your own E3 stand? <br />Necessity is the mother of invention. I knew I wanted to be a professional game developer, but there just wasn’t anywhere for me to go; nobody I wanted to work for was hiring modders, and there were no game dev jobs in my country. So I took a break from my legal career and set up a studio, made a prototype which landed a grant from Film Victoria, which I used to hire a team of experienced people, and made the better part of a game. I went to GDC (the Game Developers Conference in San Francisco) earlier this year where I met with the US Editor-in-Chief of PC Gamer (who’s a pretty cool guy) and he liked our game and story so much that he invited us to reveal it on stage at the PC Gaming Show. The reveal went so well that we just won an Unreal E3 award for being a small team and making a big splash in a crowded pool of excellent games! <br />Australian development houses seem few and far between. Is this accurate and why? How do you feel about the representation of Australian developers in the game industry? <br />Yes, there aren’t many well-known Australian game studios. We have a smattering of indie studios, like League of Geeks (Armello) and Defiant (Hand of Fate 1 & 2) but no Triple A studios. It’s mainly because our larger studios, like Team Bondi (L.A. Noire), were wiped out in the Global Financial Crisis, and the local industry hasn’t yet recovered. <br />It’s a shame for two reasons: it makes it exceptionally difficult for aspiring game developers to pursue their craft, and Australia’s economy is missing out on a proportionate slice of a lucrative global industry. <br />On the bright side, it does make it easier for small studios like mine to snap up extraordinary local talent! <br /><br />For your Skyrim mod you did the bulk of the work yourself, but your new game is made by a team. Could you tell us more about them? 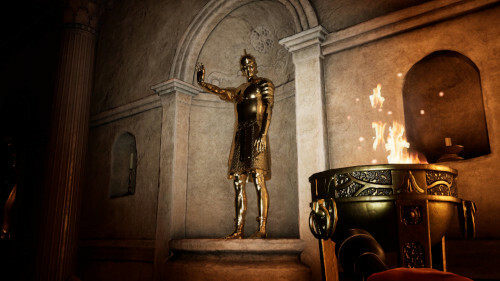 <br />From what you’ve told us, your new game announced at E3 is described as a re-imagining of the story from your mod, The Forgotten City. What would you say makes the new game different? Anything more you’d like to tell us about your game? 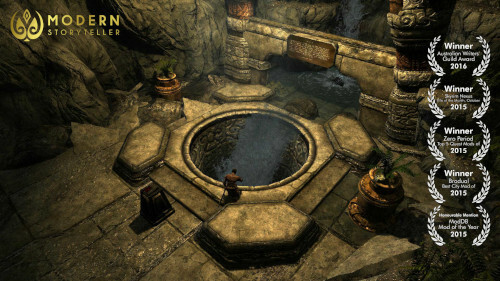 <br />The game retains all the elements the community told us they liked, incorporates their suggestions, improves on pretty much everything, and adds lots of content and surprises: a new city, re-imagined characters, original lore with fresh twists and endings, added combat and wall-climbing mechanics, an all-new orchestral score, professional voice acting, and custom motion capture animations. <br />Fortunately, hope remains. The Forgotten City offers incredible freedom, inviting players to manipulate the timeline, Groundhog Day-style, so events play out differently. By talking to diverse characters, making tough choices in moral dilemmas, and thinking laterally, you can unlock vastly different endings. <br />Add it to your Steam wishlist here. <br />The difference between modding and game development is like the difference between being a handyman and building a house from the ground up. 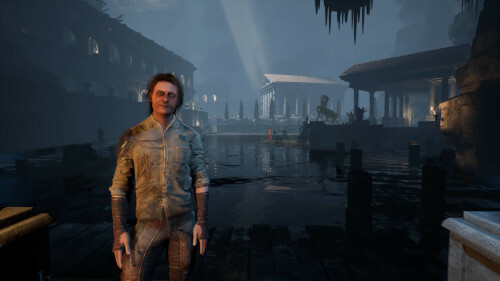 <br />One of the really big differences is the level of difficulty in creating non-player characters: If you want a character in your game you’re going to have to model it, rig it (put a “skeleton” in it for animation purposes), make animations which sync with your voice acting, and then program the character’s behaviour yourself. As you can see from the trailer for our game, I found a way to do all that, and I did it with very cool software suites called Character Creator and iClone. <br /><br />﻿"The Forgotten*City" is based on the Unreal engine, what made you choose it over the alternatives? <br />Unreal is a cutting edge engine which makes it easy to create beautiful game worlds, and that was important to me because I want players to feel immersed in and captivated by my game world. It’s possible to make a very pretty game with Unity too, but much harder. I considered CryEngine / Lumberyard too, but at the time I was starting out they were too new; they weren’t tried and tested like Unreal was. Do you understand what’s involved in making games, and do you have a burning desire to do it anyway? Do you have a way to survive while making your game, like savings, and/or a supportive partner? Are you a fast learner with a strong aptitude for technology? Do you have a tried and tested game idea that works remarkably well? Even if you answered "yes" to all of these, it’s still risky, but you'd have a fighting chance. <br />As an ex-modder myself, I’d very much like to support modding if I can. It’ll just depend on how complex it is and whether we have the resources to do it well and provide good tools and documentation for modders. <br /><br />Now you’ve unveiled this game to the world, do you have any plans for future stories you might want to tell? <br />I have a some really exciting ideas for stories I want to tell next, but what we do next will depend on the reception of our first game. If it's commercially successful, our next game will be another immersive, story-driven game with a big emotional impact. <br /><br />Thank you for taking the time to talk with me, it is always awesome to see one of our community break through into the games industry. We are looking forward to the release of "The Forgotten City" in 2019 and hope to catch up with you again closer to release!